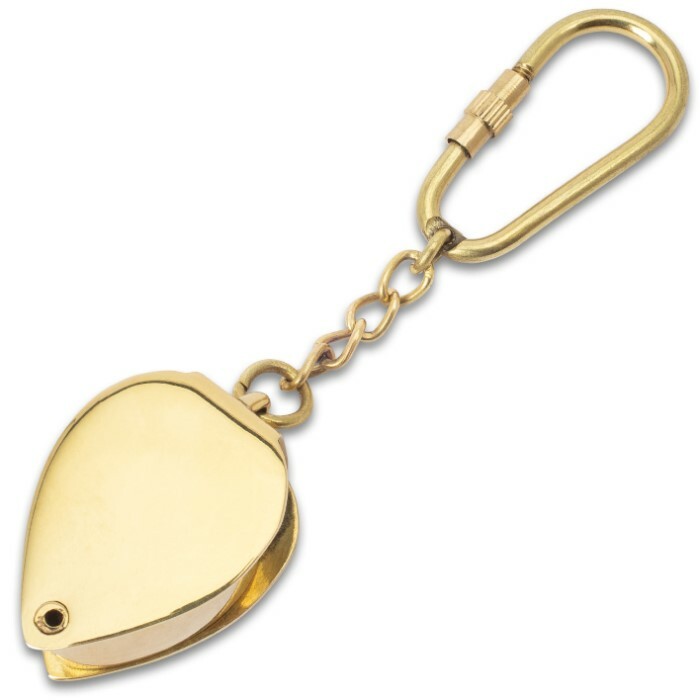 Pocket Map Magnifier - High-Quality Polished Brass And Glass Construction, Carabiner On Chain - Dimensions 1 1/2”x 1” | BUDK.com - Knives & Swords At The Lowest Prices! A high-quality display piece, the Pocket Map Magnifier makes a great addition to a nautical-themed room in your home or as decor for your boat. However, it is also a very handy tool to have with you when you’re out trekking in the wild or at the helm of your boat. 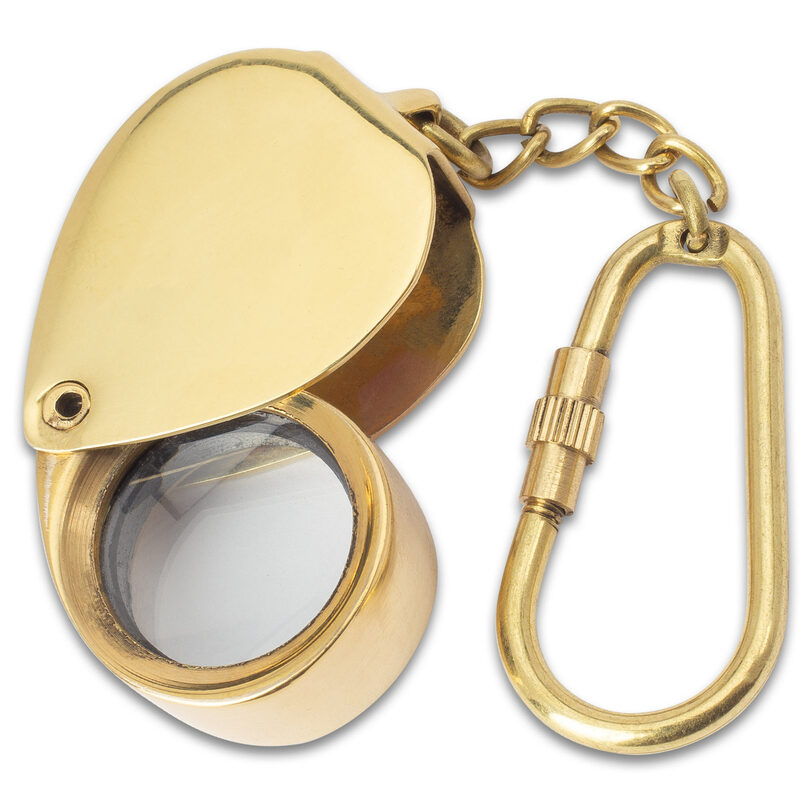 The map magnifier is crafted of high-quality polished brass and glass construction and features a carabiner on a chain. The magnifying glass is 1” in diameter and the magnifier is 1 1/2”x 1”, when closed, and 2 1/4”x 1”, when open. Fine quality and original design make our home decor collection stand above all others!